A procedure called medial thigh lift, performed as part of body contouring procedures in patients with massive weight loss ,carries a substantial risk of complications, reports a study in the January 2015 issue of Plastic and Reconstructive Surgery the official medical journal of the American Society of Plastic Surgeons (ASPS). 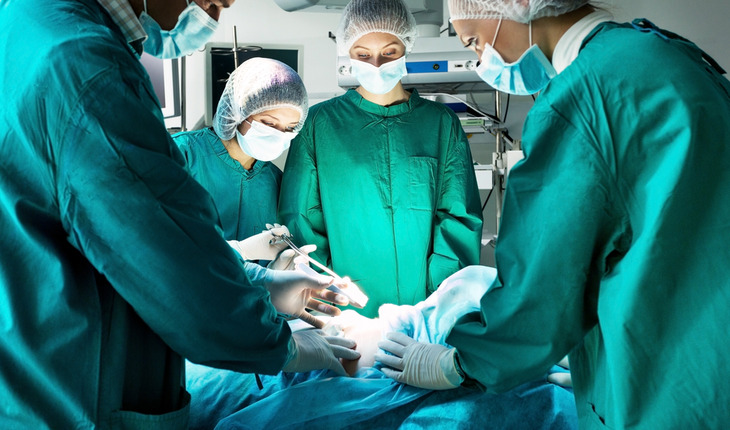 “Wound complications in medial thighplasty are common, but most are minor and can be managed without reoperation,” according to the new research by ASPS member surgeon, Dr. Jeffrey Adam Gusenoff and colleagues of University of Pittsburgh. The study is the first detailed look at complications after thigh lift surgery, performed as part of body contouring surgery after bariatric (weight reduction) surgery. A release from the publisher explains that Dr Gusenoff and coauthors analyzed their experience with medial thigh lift in 106 patients with massive weight loss, mainly after bariatric surgery. The patients were 90 women and 16 men, average age 45 years. Most patients undergoing bariatric surgery for severe obesity are left with excess, sagging skin folds of the thigh and other areas. But while complications were frequent, they usually weren’t serious. The most common issues were minor wound healing problems: problems with wound closure (dehiscence) and fluid collections (seromas). Most of these were managed without any further surgery. Six percent of patients had complications requiring additional surgery. Another 14 percent underwent further surgery to improve their cosmetic results. Leg swelling (edema) developed in 22 percent of patients–most undergoing the most-extensive type of thigh lift surgery. In all but two cases, the edema cleared up within a year after surgery. Edema occurred mainly in patients undergoing the most extensive type of thigh lift, while seromas were more likely in patients with high blood pressure. Infections were more common in older patients, those with low thyroid function, and those undergoing liposuction at the same time as thigh lift. With the increased use of bariatric surgery, the numbers of patients seeking body contouring surgery after massive weight loss have increased sharply. Thigh lift surgery has demonstrated functional and cosmetic benefits for patients, but concerns about complications may limit the use of this procedure. The new study–the largest series of patients undergoing thigh lifting surgery reported to date–shows a high overall rate of complications, especially after the more-extensive procedures. However, most of these complications are relatively minor wound-healing issues, resolving without the need for further surgery. Swelling is also common, and also resolves over time in most cases.